As the four weeks of protection given to Anand Teltumbde by the Supreme Court run out on Monday, the senior professor at the Goa Institute of Management faces the possibility of arrest in the Bhima Koregaon case. The case relates to the caste violence that broke out in Bhima Koregaon village on January 1, 2018. The Maharashtra police claimed in a chargesheet filed in November that the violence was part of a larger conspiracy of the banned Communist Party of India (Maoist) to assassinate Prime Minister Narendra Modi and destabilise India. The police alleged the activists were “Urban Naxals” acting in concert with the Communist Party of India (Maoist). But the activists challenged the arrest warrants in different high courts on the grounds that they did not comply with the provisions of the code of criminal procedure. The police eventually managed to secure the arrest of four activists – Bharadwaj, Rao, Gonsalves and Ferreira – and take them to prison in Pune. Navlakha, however, remains out of jail. Despite being booked in the case simultaneously, under similar conditions, why are four activists in jail and one is out, at least for the time being? The key difference is the way the legal challenges have been handled. On August 28, within hours of the raids, Navlakha challenged his transit remand in the Delhi High Court, while Bharadwaj moved the Punjab and Haryana High Court. A transit remand is a document issued by a judge of another jurisdiction to allow the police to take an accused person across district or state borders. Their lawyers pointed out the transit remands were in Marathi, a language with which they were not familiar. The police were also accused of using tutored witnesses brought from Pune to serve the transit documents. Both the High Courts stayed the transit remand on the same day – with one crucial difference. In the case of Navlakha, the Delhi High Court made strong observations on the Pune police. “It is not possible to make out a case from the documents placed before us,” Justice S Muralidhar said. But the Punjab and Haryana High Court did not comment on the merits of the case when it stayed Bharadwaj’s transit remand. 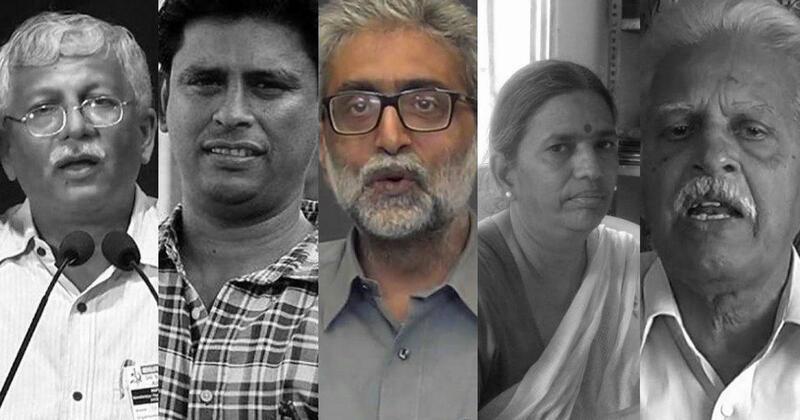 On August 29, five eminent persons, including historian Romila Thapar, moved the Supreme Court against the arrests, on behalf of the five activists. The court first ordered the Pune police to hold the accused under house arrest. On September 28, a three-judge bench of the Supreme Court, in a 2:1 judgement, refused to intervene in the case and asked the accused to approach competent authorities for suitable remedy. However, they were given four-week protection from arrest. 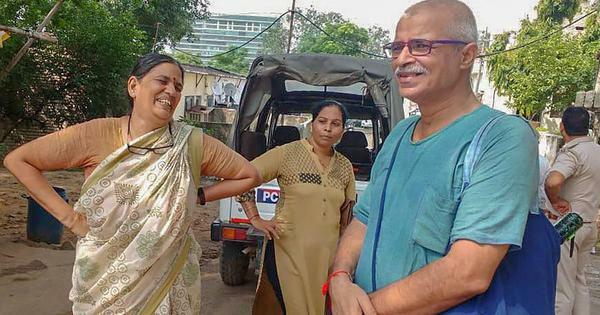 Since the Punjab and Haryana High Court had not commented on the merits of the case while staying the transit remand, the habeas corpus petition filed for Sudha Bharadwaj was withdrawn from the court. Bharadwaj then moved the Pune sessions court. On October 27, the Pune sessions court rejected her bail application. Within hours, the police arrested Bharadwaj from her Faridabad residence. The same day, Gonsalves and Ferreira were arrested from Mumbai and Thane after their bail applications were rejected by the Pune court. While Bharadwaj, Gonsalves, Ferreira and Rao are in jail, the decision of Navlakha to challenge his arrest and the August transit remand of the Pune police in the Delhi High Court paid dividends. The Delhi High Court took up the matter on August 28 itself, the day the raids took place, before the public interest litigation filed by Romila Thapar and four others was taken up for hearing by the Supreme Court. Even after the Supreme Court’s September 28 judgement refusing the intervene in the case, the Delhi High Court, after a detailed hearing by a bench led by Justice S Muralidhar, quashed the transit remand and ended Navlakha’s house arrest on October 1. The court criticised the chief metropolitan magistrate for passing a mechanical order granting remand without even verifying the case diary. Procedural lapses, the court said, were fatal to the process. The magistrate essentially fulfils a judicial function and that it was imperative to ensure that all procedures mentioned in the code of criminal procedure are followed. The court also observed that the first information report in the case was filed in January 2018 and the Pune police had ample time to fulfil the legal obligations, which it failed to do. The Maharashtra government has now filed an appeal in the Supreme Court against the Delhi High Court order. It is likely to come up for hearing this week. Navlakha last month moved the Bombay High Court asking for the case filed against him to be quashed. Given that proceedings in the appeal filed by the Maharashtra government in the Supreme Court are pending, the Bombay High Court last week chose not to pass any order in the interim but protected Navlakha from arrest till February 18. Meanwhile, Bharadwaj last week moved the Bombay High Court seeking bail. She has contended that the Pune court had relied on four letters that were submitted as incriminating evidence by the Pune Police, but they could not be accepted as admissible evidence under the Indian Evidence Act. Ferreira and Gonsalves had moved the court for bail on November 5. As far as Varavara Rao is concerned, the writer was arrested and taken to Pune in August. But after the Supreme Court ordered house arrest of the five activists, he was brought back to Hyderabad. The writer challenged the transit remand of August 28 before the Andhra Pradesh High Court. On November 17, the High Court refused to set the transit remand aside on a technical ground that Rao was indeed produced before a Pune magistrate and was remanded. This was unlike the case of Navlakha, who managed to stop the Pune police from taking him to Maharashtra through his petition in the Delhi High Court. Since in the case of Rao the process of remand was completed the moment he was produced before a Pune judge, the Andhra Pradesh High Court said that the transit remand provided by a Hyderabad court on August 28 was for all legal purposes dead. Once the accused person is taken to the intended jurisdiction, which in this case was Pune, he has to be produced before a court to be remanded to custody. The transit remand become infructuous the moment a full remand is obtained through the court. Rao was arrested immediately by the Pune police.